The mission of Reynolds Publishing Company is to empower people and businesses to succeed through the effective use of the written word. 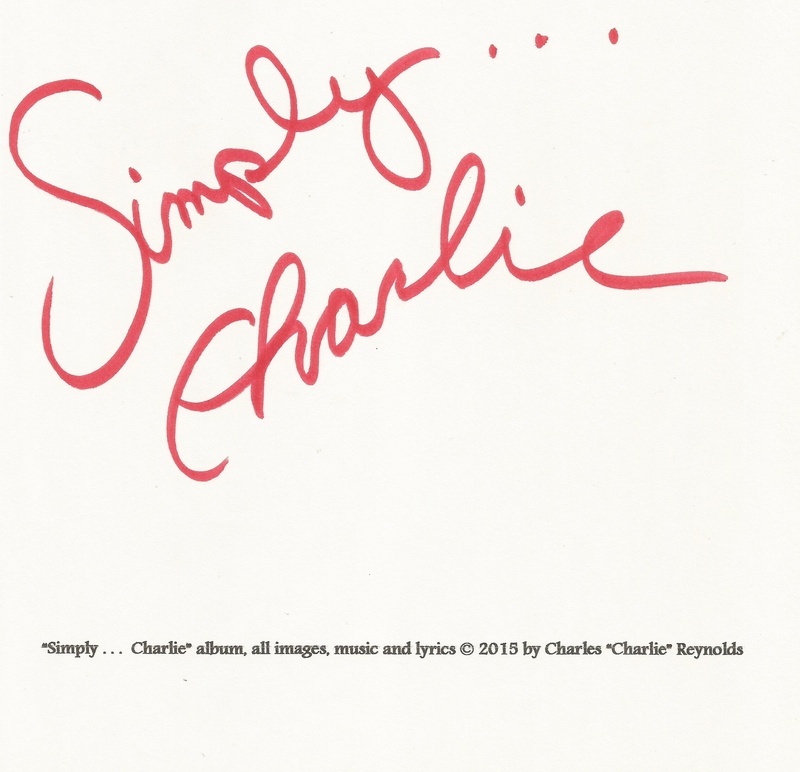 "Simply...Charlie" is the new CD release from Charlie Reynolds. Check it out and download the extended EP online at his https://www.reverbnation.com/charliereynolds" target="_blank" rel="nofollow">ReverbNation site! Wow! Its 2015! Another whole year has come and with it, infitely new possibilities. Its going to be an exciting year for me. I have some new goals for this year. First I am working on a music project. Writing and recording songs for a CD to be produced (hopefully) by the time summer rolls around. I already have three (raw) tracks completed. One of these will feature the vocals of the amazing Celeste Aldridge, who is currently unavailable for the next several weeks. When she gets back, she will be doing chorus vocals on Let Me Kiss You Goodbye. I am planning on completing and releasing as eBooks the humorous Navy tales of the USS Armadillo (On The Trail of the Armadillo and The Armadillo Rides Again), as well as one or two more. Finally, I am looking to finish the adventures of The LadyMoon and get it to an agent for traditional publishing. Due to all this activity, I have decided to stop doing journalistic reporting for the year. I will be taking on the odd press release and editing assignments, so fear not if you have need of these services. Well, that is it for now. I will get back to you all soon. Hope you all have a wonderful and productive 2015!! Well, I am happy to report that so much has been happening here at Reynolds Publishing Company - So much work for so many people - that I have not had time top update this blog. I find it really funny to be saying that. But its true. Since my last posting to my own company blog, I have been posting n other blogs, have begun work in print journalism, kept up my online journalism, done multiple PR projects (both paid and pro bono) for several different organizations, worked several ghostwriting projects, been very active in the local music community (inlcuding deciding to cut my own CD - writing is writing no matter how small, to paraphrase Suess) and been involved in numerous community outreaches. So how do you cope with making a living at writing and keeping up with your own blog? That is such a good question and one I have to say I have not been doing such a good job. But if it comes down to keeping up with a company blog and keeping my customers satisfied - I would rather do the latter. But it does present an interesting learning lesson. How to do it? Plain and simple. Plan to update yopur blog at least once a week, if not once a day. Why is this important? It keeps yopur company website from being static. And static in the world of the internet is not good. Your activit on your blog equates to web activity on your website. And do not forget to social media everything you write. As writers, even ones where social media is handled by some internal department of the entity you are writing for, it is still our responsibility to get the word out. Its not vanity, its survival. So, in your weekly activity planning, you should remember to post on your own company blog. It may not "pay" you now, but it will pay you later. Keep it simple. You can expound on some important topic if you like. But just keeping it simple is not only a way for you to actually do it every week, but it will keep you from spending hge amounts of time on unproductive writing. I know, I said it will pay later, but that is over time. And if you are writing for a living, there are bills that need to be paid now, not later. Consider your own company website blog as an investment. You invest a little now to get a bigger return later. Without making this post too long (and thus breaking my own rule of keeping it simple), one exception to the "keep it simple" rule of thumb is for writers whose business model includes teachnig others how to write. Then those posts should be as long as necessary. Although keeping posts short is also a good idea. Teaching is best done in short clips. Have a great day and write, write, write! Every day I come into the "office" (the coffee house you see in the photo on the home page), I read over my email, the events of the day, read a few newspapers, look into the analytics of current clients, write a blog entry or two, an article or two and look for more work. That is "generally" what I do. This varies, of course, with what I get in the mail. And what "jobs" i may find or what client, or potential client, comes into the office that day. But the one thing that I have to struggle with each day, is staying focused. Reynolds Publishing Company encompasses ALL of my wiritng work. Which is a LOT of writing, personally (my books) and professionally (freelance, news, et al). And it is easy to get distracted by the small nuances of the day. Family news on Facebook, personal emails, clients stopping in "just to chat", potential clients asking "what should I do if" questions, acqauintances dropping in for their daily coffee intake who want to know "so what are you working on today" or "how's the new book coming along." Even though I always welcome the interactions, it takes a lot to stay focused. In a purely business response, I tell myself if I lose focus, I don't make money. And if I don't make money, I can't pay the bills. And if THAT happens, I have to get a "day job" and not write as much. And I love writing way too much to NOT write. So this is to be avoided. In the response from my creative (read non-business minded) side, I have to remember that without interactions with clients, potential clients and just everyone else, I lose sight of the human factor to my business. I write, yes. But I write to help others succeed. If I have no vested interest in seeing others succeed, I can't do my job. Thus the conundrum of working in a coffee house, which Robert Masello of The 101 Rules You Need to Know sees as a violation of Rule 7. I need to write but I need to stay connected. Thus, I indulge in the casual conversation, even if it takes me away from writing for a few minutes. In this way I stay connected to the outside world, which is where my bsuiness comes from, after all. And I just might have an answer to the odd question or two, which doesn't hurt to dish out. And I might just pick up a new client, or add to my knowledge that I'll use later or give me an idea for an new angle on something I have been working on. Either way, it can only be a win-win situation. So staying focused is important. And I am the only one who can do it. I have no "boss" to tell me to stay focused. I have no spouse to tell me. My kids are grown and wouldn't think to tell me to stay focused anyway. Its just me. So I wake up each day, look in the mirror and say "Focus, old man. Focus." Its become a habit. A good habit. One I recommend to any writer at any stage in their career. Have a great day, and stay focused. It is so exciting to start a new business. You get to do what you love, meet great people and get paid. America is great that way. I had such a blast doing the media blitz for Calling All Angels Thrift Shoppe. We made a big splash in a short period of time. About a month prior to the opening of the shop we started with basic press releases and moved onto building buzz in the community and the media. By the time of the Grand Opening, there was television and print media, as well as a huge surprise (even to me) from PA state Rep. Rosemary Brown's office. She sent her community liaison to present Lauren with a plaque of thanks for her commitment to the community and congratulations for her Grand Opening. Very nice. And Lauren has been such a wonderful person to work with. Another reason I love this "job". Meeting great people. And being able to help them with their needs. Check out Lauren's website (courtesy of yours truly). And, if you are in Pike County PA, or the Milford, PA vicinity, stop in and shop. Or better yet, do some important volunteering. All the shop's profits go to buying food for the local food pantries. 'Til next time. Happy Holidays, Merry Christmas and Happy Hanukah to all.